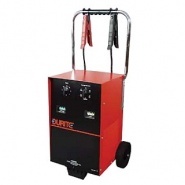 12A charger-maintainer for all lead-acid batteries including AGM, GEL and Li-Phosphate LiFePO4. 12V 6A automatic automotive battery charger, for all lead-acid batteries, including sealed for life, gel and maintenance free. 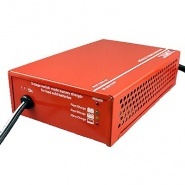 4A charger-maintainer for all lead-acid batteries including AGM and Li-phosphate (LiFePO4). 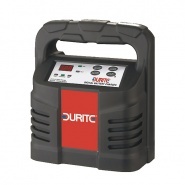 Car battery chargers from the Durite range of professional battery charger and automatic domestic 12V battery charging. 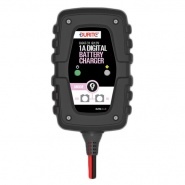 The range includes leisure battery chargers and a range of automatic battery chargers, which monitor the charge and will not cook batteries when leaving them connected to the power source. 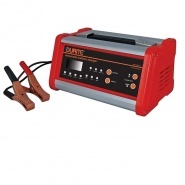 6V-12V automatic automotive battery charger 1A, for 6-12 volt lead-acid batteries. 12V automatic automotive battery charger 1.0A, for all 12 volt lead-acid batteries including: sealed for life, gel and maintenance free. 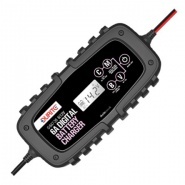 12V automatic automotive battery charger 2.7A, for all 12 volt lead-acid batteries including: sealed for life, gel and maintenance free. 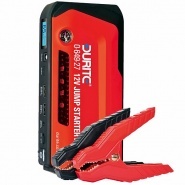 6V-12V automatic automotive battery charger 2.7A, for 6v-12 volt lead-acid batteries including sealed, gel and maintenance free. 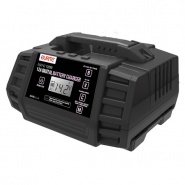 24V automatic automotive battery charger 1.5A, for all 24 volt lead-acid batteries including: sealed for life, gel and maintenance free. 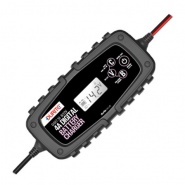 6.5A charger-maintainer for all lead-acid batteries including AGM, GEL and Li-Phosphate LiFePO4. 12V 10A automatic automotive battery charger, for all lead-acid batteries, including sealed for life, gel and maintenance free. 24V 5A automatic automotive battery charger, for all lead-acid batteries, including sealed for life, gel and maintenance free. 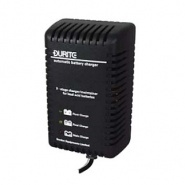 12V 20A, Durite automatic automotive battery charger for all lead-acid batteries, including sealed for life, gel filled, maintenance free. 24V 10A automatic automotive battery charger for all lead-acid batteries, including sealed for life, gel filled, maintenance free. 12V 2-15A automatic automotive battery charger, for all lead-acid batteries, including sealed for life, gel and maintenance free. 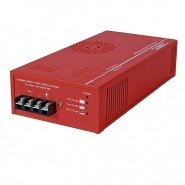 12V 3-stage automatic 12V Battery charger with 2/6/12A output. Suitable for WET battery types. 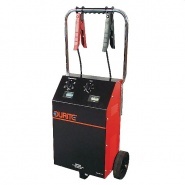 12V-24V, 30A automatic heavy duty bench start-charger for professionals, 'automatic' or 'manual' and 'hi' and 'low' charge rate. 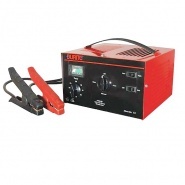 12V-24V, 30A automatic bench start-charger for professional use, 'automatic' or 'manual' and 'hi' and 'low' charge rate. 110VAC input. 6V-12V, 60A trolley charger for professional use, with charger timer, 'hi', 'medium' and 'low' charge rate option with 12V 150A start. 6V-12V-24V 60A trolley charger for professional use, with charge timer, 'hi', 'medium' and 'low' charge rate option with 175A start. 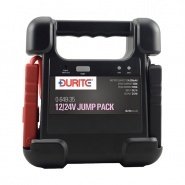 24V heavy duty jump starter pack with 30,000mAh lithium battery. Light and compact, jump starts petrol-diesel vehicles up to 15.0L. 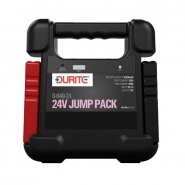 12V/24V heavy duty jump starter pack with 24,000mAh lithium polymer battery, will jump start petrol and diesel vehicles up to 13.0L.